The history of ceramics begins with earthenware. Thousands of years ago, humans learned how to make earthenware vessels by kneading, forming and firing clay. Prior to this discovery, the only other man-made items were stone tools made by chipping rocks? In this sense, earthenware could be called “the root of all industrial products.” After the Stone Age, countless advancement was made over the millennia before Fine Ceramics appeared as we know them today. From the 8th to 18th centuries, glazed ceramics was important in Islamic art, usually in the form of elaborate pottery, developing on vigorous Persian and Egyptian pre-Islamic traditions in particular. Tin-opacified glazing was developed by the Islamic potters, the first examples found as blue-painted ware in Basra, dating from about the 8th century. The Islamic world had contact with China, and increasingly adapted many Chinese decorative motifs. Persian wares gradually relaxed Islamic restrictions on figurative ornament, and painted figurative scenes became very important. 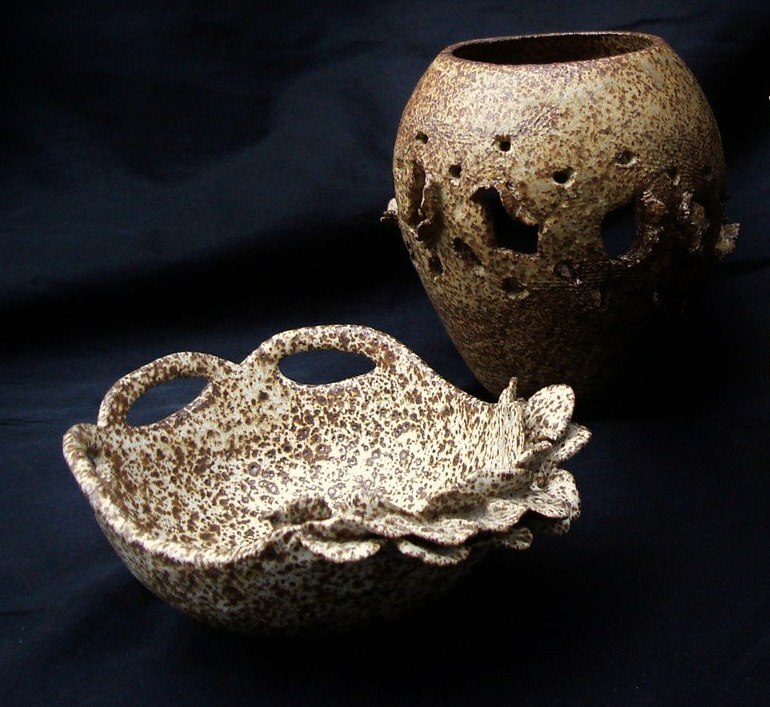 The earliest Japanese pottery was made around the 11th millennium BC. Jōmon ware emerged in the 6th millennium BC and the plainer Yayoi style in about the 4th century BC. This early pottery was soft earthenware, fired at low temperatures. The potter’s wheel and a kiln capable of reaching higher temperatures and firing stoneware appeared in the 3rd or 4th centuries AD, probably brought by southern Korean potters. In the 8th century, official kilns in Japan produced simple, green lead glazed wares. Japanese ceramic history records distinguished many potter names, and some were artist-potters, e.g., Honami Koetsu, Ogata Kenzan, and Aoki Mokubei. Japanese anonymous kilns also have flourished through the ages, and their influence weighs with that of the potters. 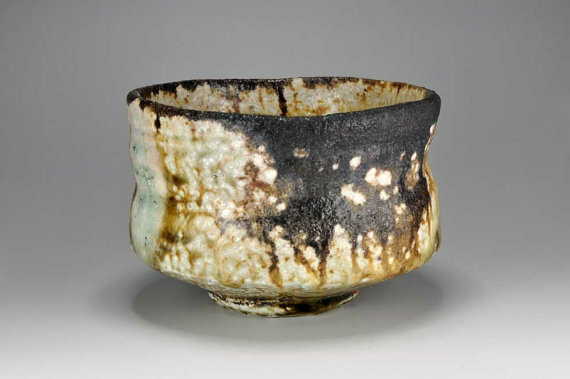 Another characteristically Japanese aspect of the art is the continuing popularity of unglazed high-fired stoneware even after porcelain became popular.Since 4th century, Japanese pottery and porcelain was often influenced by the Chinese and Korean, sometimes through Korean pottery. Pottery in the Indian subcontinent has an ancient history and is one of the most tangible and iconic elements of regional art. Evidence of pottery has been found in the early settlements of Mehrgarh from the Indus Valley Civilization. Today, it is a cultural art that is still practices extensively in India and Pakistan. Today, pottery thrives as an art form in India, and it is slowly gaining awareness as functional items as well. 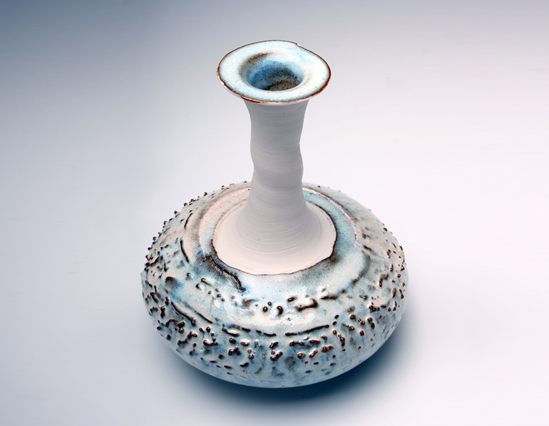 Various platforms, including potters’ markets and online pottery boutiques have contributed to this trend. India has a great and ancient tradition of pottery making. The origin of pottery in India can be traced back to the neolithic age, with coarse handmade pottery – bowls, jars, vessels – in various colors such as red, orange, brown, black and cream. The real beginning of Indian pottery is with the Indus Valley Civilization. There is proof of pottery being constructed in two ways, handmade and wheel-made. Harrappan and Mohanjodaro cultures heralded the age of wheel-made pottery, characterized by well-burnt black painted red wares. Artist: Shiho Kanzaki shown at the Minneapolis Museum.